This timely book has been published through the generous contribution of the Calouste Gulben kian Foundation. The book prepares the ground for the forthcoming pastoral visit of His Holiness Aram I to the United States of America. The concerns the Catholicos highlights apply both to Armenia and the Diaspora. 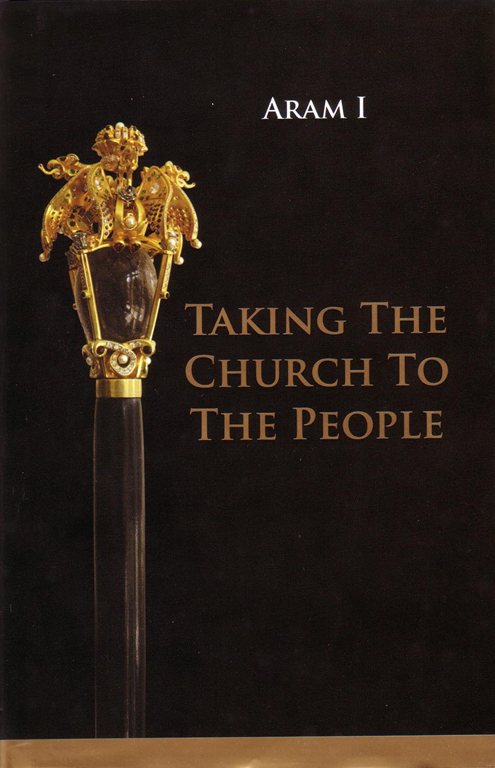 In his introduction His Holiness Aram I writes, "I chose this title because the Church is the people." The book consists of three parts. In the first part, Catholicos Aram I describes the nature of the church, its mission and its institutional expressions, including the parish, the dioceses and the wider Armenian community in Armenia and the diaspora. While describing the organization of each, he proposes ways in which they should be renewed. In the second part the Catholicos identifies the core issues that the Armenian Church is currently facing. He starts with the Bible as the foundation of Christian faith and its interpretation; he then discusses the family, the school and Christian education. At the end of this section, His Holiness Aram I explains the meaning of the term ’people of God’ and explains why Armenian women, youth and children, who have been marginalized in the Church and all community organizations, should participate in building their communities. In the final part of the book, the Catholicos includes certain pastoral letters and messages that he has previously addressed to youth in order to prompt a meaningful dialogue with them. The book is a basic reader for all Armenians who want to learn about the Armenian Church and its faith, mission and organization. It is an invitation to the people in Armenia and the Diaspora to equip themselves with the legacy of the past and build Armenian communities responsive to the challenges of globalization. Finally, it is a guide to Being the Church as the people of God both in Armenia and Diaspora.